Everything is new in the 2017 Audi A4, starting with the engine that is now 15 % more powerful than the previous-generation A4. If you are looking for a premium sedan that will not let you down in winter and is packed with a host of technological goodies that make it more comfortable, safer or more efficient, than look no further than the 2017 Audi A4 that has just arrived in Calgary at Glenmore Audi. Everything is new in the 2017 Audi A4, starting with the engine that is now 15 % more powerful than the previous-generation A4. 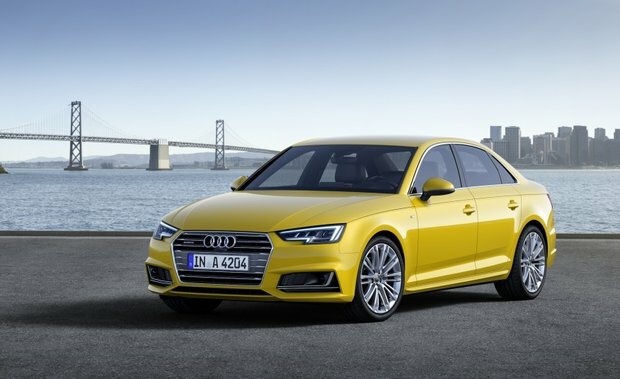 Indeed, the 2017 A4’s 2.0-liter TFSI engine now offers 252 horsepower and 273 lb-ft of torque. That’s enough to make sure you always have plenty of power, no matter what you need to do on the road. Inside the 2017 Audi A4, you will find a new interior that is more refined and more technologically-advanced than ever. The 12.3-inch display that sits in front of your eyes and gives you all the necessary driving information is both easier to use and absolutely astounding. Prepare to be impressed! There are three versions to choose from starting with the Komfort model starting at $43,200. Capable of reaching 209 km/h, it gets to 100 km/h in only six seconds. Buyers who want it all can opt for the Technik, which starts at $ 50,600, a competitive price considering everything offered in the 2017 Audi A4 like, for example, the very latest in driver assistance technologies. Come into Glenmore Audi in Calgary today and drive the 2017 Audi A4!